I can hardly believe it myself. After 120 scoreless minutes, Zambia defeated Ivory Coast 8-7 in a penalty kick shootout to capture Zambia's first ever African Nations Cup, in Libreville Gabon, the site of the 1993 plane crash that claimed the lives of nearly all of Zambia's national team. Early on, Zambia's starting defender Joseph Musonda injured his knee in just the 11th minute, and broke down in tears when he was replaced by Nyambe Mulenga, but the Zambia defense was spectacular. Ivory Coast did not have an attempt on goal until 30 minutes into the match, when Didier Drogba back-heeled to Yaya Toure, but the Manchester City star shot over the goal from only 8 yards out. 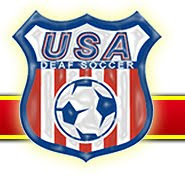 In the 70th minute, Gervinho was fouled in the box by Isaac Chansa, covering for the substitute Mulenga, and Didier Drogba stepped up to take the penalty kick. Drogba then shot it wide of the goal, reminding everyone of the 2006 African Nations Cup final, when Drogba's shootout penalty against Egypt was stopped, handing the title to Egypt. Each team had one last chance to win in regulation. Max Gradel shot just wide of goal for Ivory Coast, and Kolo Toure made a game-saving tackle against Zambia's Emmanuel Mayuka. Zambia had the best chance to score in extra time, with Christopher Matongo forcing Boubacar Barry to make a toe save on a shot that was heading inside the near post. In the shootout, Drogba was not afraid to take the critical fifth position, and he scored. So did all of the other shooters. In fact, all of the first 14 shooters scored in the shootout, which was tied 7-7 when the 8th man from Ivory Coast, Kolo Toure, had his shot saved by Kennedy Mweene. But, Zambia's 8th shooter, Rainford Kalaba, shot over the bar to send the shootout to a 9th round. Gervinho stepped up, because there was no one left, and missed the goal, setting up an unexpected winner for Stoppila Sunzu. 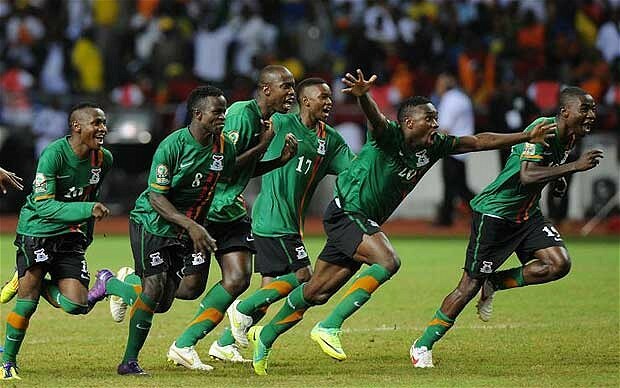 This was Zambia's first African Nations Cup win after losing twice in the finals, most recently in 1996.